and not gold and silver"
What does being in 'good health' mean to you? ​ value to this journey we call life:) Contributions are welcome! ...happened around the same time that I hit my rock bottom back in 2015. Following the previous year's string of ongoing sicknesses with my then newborn and toddler, together with a husband who was completely and utterly burnt out, I found myself facing the new year with my own pressures whilst also being the main support engine for the wellbeing of my kids and husband. 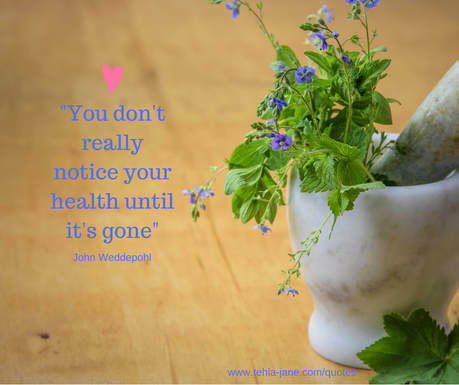 I developed a number of health issues including the jaw restrictive temporomandibular joint dysfunction (TMJ) and Hashimotos Disease, and I lived every day in a constant state of stress that never seemed to ease. It was like I had a permanent adrenaline rush that never stopped, no matter how much I tried. I simply felt I couldn't move fast enough through the day to keep everyone happy, and I neglected myself to the point where my body literally shut down on me. I would find myself becoming increasingly paralysed by the overwhelming-ness of my daily life stressors, and longed to be alone if for no other reason than to clear my mind and free myself of the thoughts and pressures in my head. In a nutshell, I was miserable and felt so confused because I had always been the one who 'pepped' everyone else up, the positive one who could see the good in everything. When I was younger people would call me the 'ray of sunshine'. But more and more, I just felt overwhelmed, stressed and guilty. Even my yoga practice, on which I had relied so much upon for the previous 15 years, could not seem to calm my mind or settle my nerves. This is when I knew that something was seriously wrong in my life. A few weeks later my youngest developed pneumonia at 18 months of age (whilst at the same time my then 3 year old contracted Scarlett Fever which was misdiagnosed 5 times) and as I sat next to my baby at her hospital bed for four days without moving, watching her little body struggle to breathe with every breath, I made some commitments to myself that I am happy to say I have now successfully fulfilled. Putting family and health first was an absolute non-negotiable, and prioritising my dreams and increasing the space in my life for my own self-care was a close second. I was always known for being so busy, multitasking and rushing through life to fit something in to every single second of the day (and most nights!) and although I had been able to keep up with this pace before having kids, I think it definitely contributed to my overall longing and innermost intention to just be still, to breathe and simply exist. In the present. In the now. And to be content with life as it was. I attended a number of silent meditation retreats and learnt so much about myself during this time that I started to truly believe in myself and started to take control of my destiny in my own way. I learnt how to 'monotask' as opposed to multitask and how to meditate with tea (through the fascinating Chinese practice of 'tea chan'). And importantly, I learnt to let go of stereotypes and stigmas and to just be myself. As I mentioned earlier I am certainly not the pinnacle of health, but I'm far ahead of where I was 5 years ago, and now that my eyes have been open to the importance of genuinely looking after myself I am committed to continually managing my condition and learning from the many experts I have met and continue to meet, especially in my yoga life.